Looking for a job in Porter County Indiana? 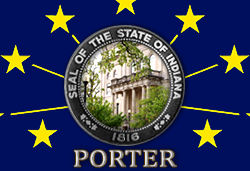 This job guide for Porter County Indiana is a resource for job seekers looking for legitimate employment opportunities in the region with an emphasis on government jobs, healthcare jobs, school jobs, and other top employers. Porter County Indiana is a good resource for job openings. During this review there were open positions available such as Behavior Program Coordinator, Educator - Camp Counselor, Educator Naturalist, Part-time Tutor, Juvenile Services Center-Cook Part Time, Maintenance Crew Member, Memorial Opera House-Box Office Associate Part Time, Registered Nurse (Part Time) Porter County Health Department, and Winter Grounds Assistant / Snow Removal. Visit their site for updates. The City of Portage utilizes Indiana Career Connect for their job postings. The city has a population of approximately 37,000 residents. The City of Valparaiso Indiana periodically posts employment opportunities on their website. During review there were open positions available for Customer Service Representative and Seasonal Laborer Horticulture. The Town of Chesterton infrequently posts jobs. Check for their site for listings. Porter Health Care System includes two hospital campuses and seven outpatient facilities serving five counties. With more than 350 physicians representing 50 medical specialties, Porter Health Care System is a leader in technology, innovation and overall patient care. A survey of open positions throughout the network included Certified Occupational Therapy Assistant PRN, Certified Respiratory Therapist, Charge Nurse Coordinator, Cook, Customer Service Representative, Director Oncology Service Line, Director of Intensive Care Unit, Emergency Department Technician (Paramedic), Emergency Medical Tech, Emergency Medical Tech PRN (As Needed), Environmental Services Worker PRN, Housekeeper Tech, Medical Assistant, Medical Lab Technologist, Medical Transcriptioninst, MT Medical Lab Tech, Nuclear Medical Technologist, Nurse Navigator, OB Tech Labor and Delivery PRN, Occupational Therapist PRN, Occupational Therapist Outpatient / Rehab Services, Paramedic Full Time, Patient Registrar, RN Jobs, PRN Nursing Jobs, Patient Transporter, Perioperative Nurse, Phlebotomist PRN, Physical Therapist, Physical Therapist - Inpatient Rehabilitation Unit, Registered Nurse ICU, Registered Nurse RN Post Anesthesia Care, Registered Nurse Cath Lab, Registered Nurse ED, Registered Nurse RN Emergency Department, Registered Nurse Intensive Care Unit, Registered Nurse Medical Care Unit, Registered Nurse Oncology, Registered Nurse RN Operating Room PRN, Rehabilitative Tech, Respiratory Therapist, Security Officer, Speech Pathologist, Sterile Processing Technician, Food Service Worker, and Ultrasound Technologist PRN. Community Healthcare System is a wide-reaching health network, but had few listings in Porter County specifically. Since numerous open positions were available in neighboring communities it was included here. Community Healthcare System is comprised of three not-for-profit hospitals: Community Hospital in Munster; St. Catherine Hospital in East Chicago; St. Mary Medical Center in Hobart, and Hartsfield Village, a continuing care retirement community in Munster. NorthShore Health Centers is a non-profit organization dedicated to providing quality, affordable healthcare to everyone including the uninsured and underinsured in Porter and Lake Counties. Facilities employ general practitioners, obstetricians, midwives, pediatricians, nurse practitioners, prenatal care coordinators, behavioral health consultants, and community inreach and outreach workers. There had been open positions for Billing Specialist and OB/GYN Nurse during this survey. Visiting Nurse Association of NWI was hiring experienced Hospice RN's Full-time case managers, Nurse Practitioner on the Palliative and Hospice Care Team, Home Health Aide HHA, Certified Nursing Assistant CNA or HHA, Homemaker Companion, Hospice Social Worker, and Weekend On Call RN. Pines Village offers maintenance-free independent living homes or comfortable apartment living with on-site personalized assistance. Some positions often available include Licensed Practical Nurse LPN, Server, Housekeeper, Food Services Jobs, and more. BrightStar Care Valparaiso provides the high quality home care and medical staffing. During review listings found included CNA / HHA for Home Care, Registered Nurse, Licensed Practical Nurse LPN, and Companion. Valparaiso Care & Rehabilitation Center (a part of American Senior Communities) is a senior community near Valparaiso, Indiana. American Senior Communities provides rehabilitation, memory care, skilled nursing, long-term, respite or hospice care. Jobs found had included RN Registered Nurse, LPN Licensed Practical Nurse, QMA Qualified Medication Aide, CNA Certified Nursing Assistant, Resident Care Coordinator RN, and Student Nurse. The Duneland School Corporation consists of five elementary schools (grades K-4), two intermediate schools (grades 5-6), a middle school (grades 7-8) and a high school (grades 9-12). Duneland employs approximately 350 professional certified staff, counselors, administrators and specialists, in addition to specialists assigned by the Porter County Special Education Interlocal. A survey of open positions available had included Elementary Teacher (Long Term Substitute Position), Reading Specialist, Substitute Nurse Positions, High School Business Teacher, Substitute Custodial Position, Adminstrative Assistant to the Principal, Office Secretary, Substitute Teachers, Substitute Kitchen Helpers, Substitute Bus Aide, and Substitute School Bus Drivers. Porter County Education Services had openings for 1.0 Speech Language Pathologist, 1.0 School Psychologists, Occupational Therapist, Educational Interpreters (certified), Language Facilitators, and Mild Interventions Teacher. East Porter County School Corporation was hiring. Openings included Math Teacher, Career and Technical Education Teacher, Boys Varsity Soccer Coach, Varsity Girls Basketball Coach, School Bus Driver, and Substitute Nurse. Portage Township Schools PTS is always hiring substitute Bus Drivers/Attendants, Food Service Workers, Nurses and Health Assistants. Metropolitan School District Boone Township School District had open positions for Substitute Bus Driver, Substitute Teacher, and Substitute Nurse - Indiana Licensed Registered Nurse. Porter Township Schools consists of Porter Lakes Elementary, Boone Grove Elementary, Boone Grove Middle School, and Boone Grove High School. During review there were employment opportunities for U.S. History Teacher, Track & Field Coach Girls Varsity Assistant, School Custodian, Substitute Cafeteria Worker, Substitute Teachers, and Extra Curricular Activity Class B CDL School Bus Drivers. Union Township School Corporation consists of two elementary schools, a middle school, and a high school. Their employment page provides a variety of applications and a link for job openings when vacancies become available. Valparaiso Community Schools VCS is a substantially large school district for the region that enrolls nearly 6,000 students. A survey of openings found had included BFMS Tutor, VHS Tutor, English Teacher - Long Term Sub, Instructional Paraprofessional, Temporary Part Time Science and Spanish Teacher, Substitute Instructional Paraprofessional, Food Service Substitute, Bus Driver, Matermnity leave temp positions: 3rd Grade Teacher, 4th Grade Teacher and Kindergarten Teacher, Plumbing Craftsman, Electrician Craftsman, Payroll Coordinator, Porter County JDC Title I Tutor, Technology Support Technician, ELL Instructional Paraprofessional, Food Service Technicians, Food Service Manager, Athletic Trainer, Gymnastics Assistant, and Math Bowl Coach. Valparaiso University is a selective, independent Lutheran institution in Valparaiso, Indiana, an hour's drive from Chicago. Faculty and support staff openings are frequently available. A sample of jobs found had included Program Coordinator, Career Development Advisor, Landscape Services Technician (Seasonal), Brick Oven Sizzle Part Time, Cafe Pizzazz Part Time, Cafe Server, Major Gifts Officer, Assistant Controller Finance Office, Director of Aviation & Chief Instructor, Patrol Officer VU Police, Dining Services, Catering Wait Staff, and Housekeeper. The Porter County Sheriff's Office was accepting applications for Probationary Patrol Officer. Their employment page provides employment applications for Sheriff Officer and Jail Officer. Porter EMS has four ambulance stations which provide on-scene medical care for a 522-mile area throughout Porter County. Valparaiso Police Department's recruiting page provides information for how to become a Police Officer, benefits, and employment applications. The Valparaiso University Police Department offers several full- and part-time employment opportunities. Positions were found on their recruiting page and a Patrol Officer positions was found on the main University employment page. The Valparaiso Fire Department currently operates with 67 full-time Firefighters, many of whom are also cross-trained as EMT's or Paramedics. Recruitment pages were not found. Visit the links below to view the home pages of the Portage Police Department and Portage Fire Department.